NECKLACE - SARAH COVENTRY. "MONTASTERY BELLS" FROM 1957. ALSO CALLED "SINGING BELLS". 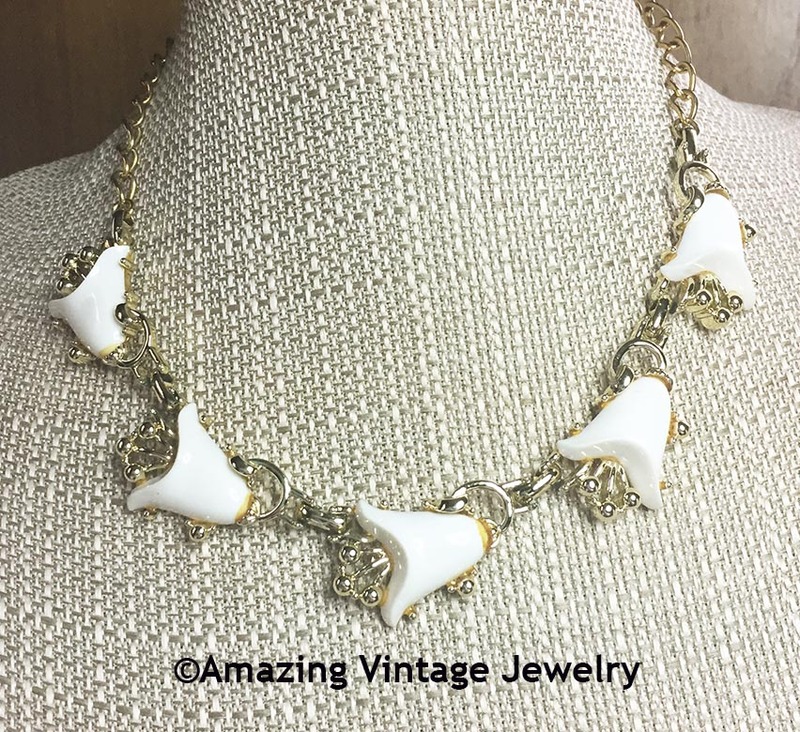 GOLDTONE LINKS WITH COOL WHITE BELL-SHAPED INSETS. PRETTY! ADJUSTABLE UP TO 17" LONG. 7/8" WIDE. VERY GOOD CONDITION ALTHOUGH THERE IS A LOT OF ORANGE GLUE RESIDUE. PRICED ACCORDINGLY. THIS IS THE EXACT NECKLACE YOU WILL RECEIVE.